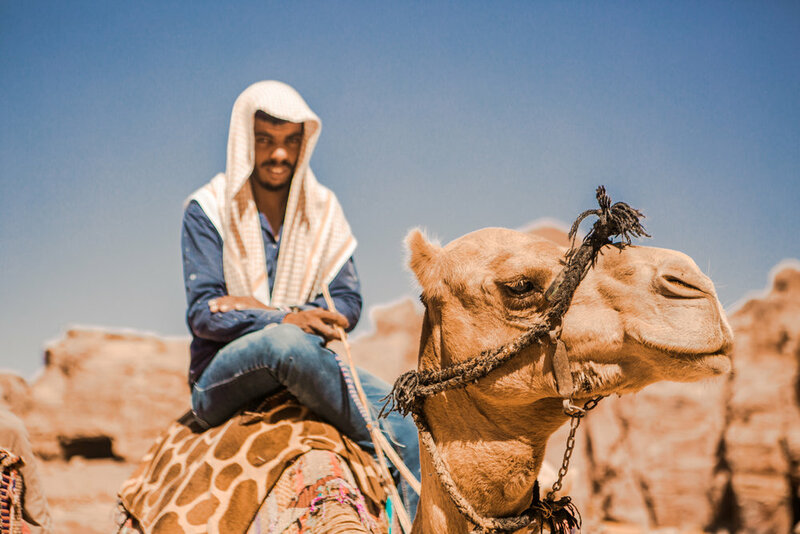 Firstly I would like to address a question that I was frequently asked during my travels in Jordan.. "Is it safe and did you have a negative experience?" No. There was no point in where I felt unsafe or in danger. The people are extremely friendly, so please please don't be afraid to visit! This country is a place everyone should experience once in their lives! Im in so much awe of all its beauty and kind faces. Jordan has been on my bucket list for over a year now, ever since I first saw an image of it on Pinterest. It was an image of Petra, taken at the treasury with camels beautifully dressed standing so peacefully before it. It lit a small fire inside me, and from that second onwards I was going. One of my dear friends pointed out to me the other day that whenever kyle and I say we are doing something, we actually do it! I had never thought about it that way before, and it made me feel a small sense of accomplishment. When I want something enough I don't let anything get in the way. I will make it happen! Someway or another! 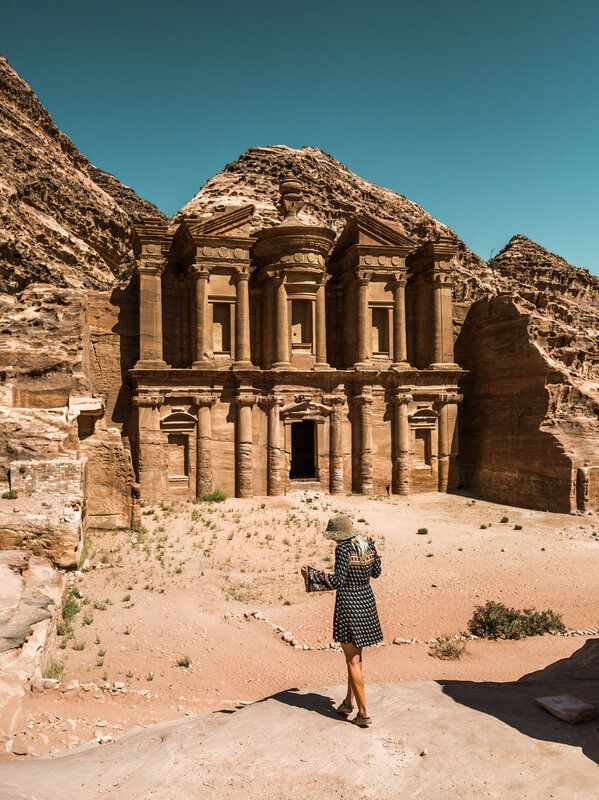 Anyway I'm going off track now 😂 Recently I asked my readers if they preferred a day by day guide during our time in Jordan - or a more short and sweet write up with anecdotes in the captions. The votes were pretty close so I've decided to try do a little of both 🙂 I like to change up the structure of my posts to keep in different and interesting. Hope you guys approve! We had arrived in Amman from Athens the night before at 2am, where we had already arranged a hire car to be picked up upon our arrival. It seemed a little dodgy at first, making a debit card transaction in the Ammani airport car park at 3am, but shortly after we were on the road. ROAD TRIIIIIP! 😛 We booked 2 nights at Sydney Hotel whilst in Amman, which we were pleased about. Best location and reasonably cheap. We are actually thrown back at how expensive Jordan actually was! Over the 10 day period we spent close to $2000AUD between us. That included car hire, food, petrol, accommodation & entrance fees to sites (surprisingly most expensive part). 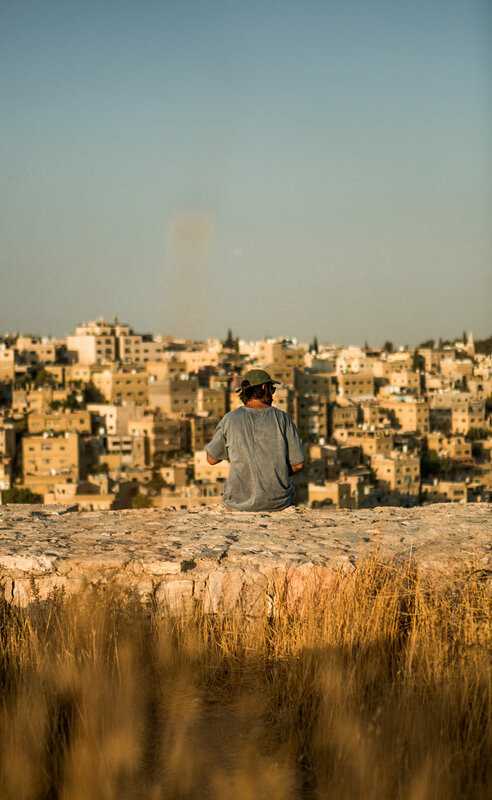 That evening we drove up to the Amman Citadel for sunset over the ruins. Up top there are incredible 360 views of the city (or should I say lego land). It literally looks like the city was build out of lego haha! We finished the day at a must eat at restaurant (more like street food style) called Hashem. Best falafels and overall experience! Oh not to mention dirt cheap. We were up early and heading south to our first stop Wadi Mujib and the Dead Sea. On the way we stopped into a grocery store in Amman to stock up on food for the week. We love eating supermarket food, much cheaper and you can cater more to your own diet. We loaded up on hummus (canned actually, you would be surprised its so good! ), beans (foul medames, best thing everrrr) pita bread, cucumber, tomato, fruit, olives, and loads of water. Believe me when I say we literally ate pita pockets with those ingredients ALL week. We stayed one night at the Dead Sea in the cutest little chalet (Mujib Chalets) backed right up on the water. 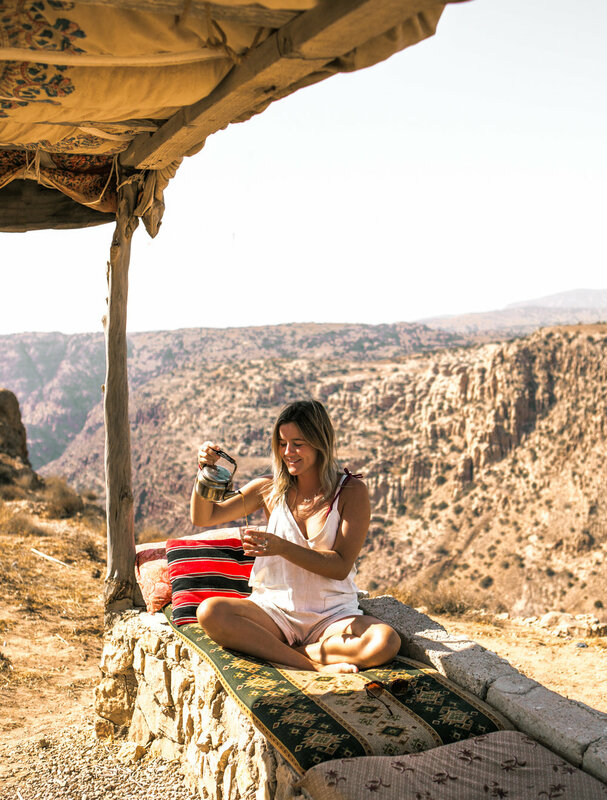 The chalets are away from the tourist hot spot, and sit directly in front of Wadi Mujib canyon. A must do! We hiked the canyon when we arrived before checking into the chalets, which took around 2-3 hours. We went a bit slower, stopping and taking piccies along the way - so it might not take everyone that long. Make sure you take a dry bag for your camera gear and phone! There are points along the trail where you'll find yourself neck deep in water and scaling waterfalls. So funny, a girl recently commented on my Instagram post saying "how she wished she bought a spare pair of clothes for her photo", thinking thats what I had done. When in actual fact I was head to toe drenched in most of these shots; which funny enough I momentarily panicked over, thinking it made me look like a drowned rat. Apparently not! Our chalet was only a couple of steps from the Dead Sea, overlooking Israel in the distance. 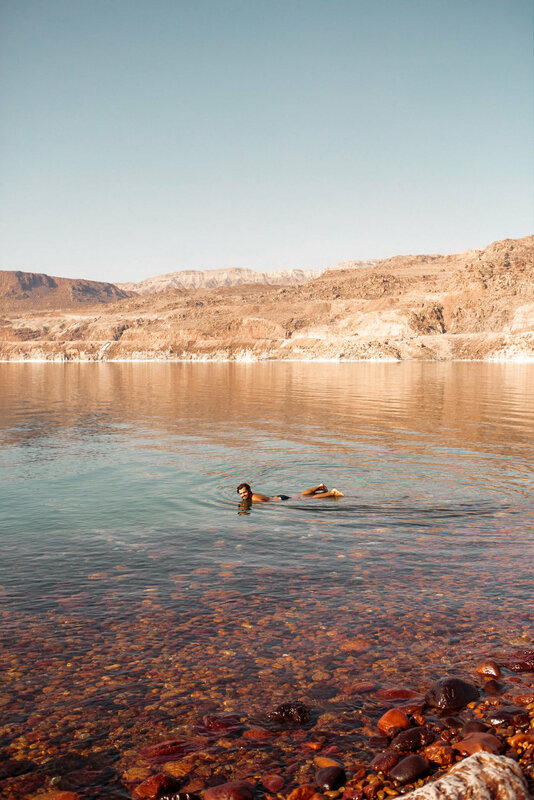 Swimming in the Dead Sea is the craziest experience! A crazy, salty and sticky experience. 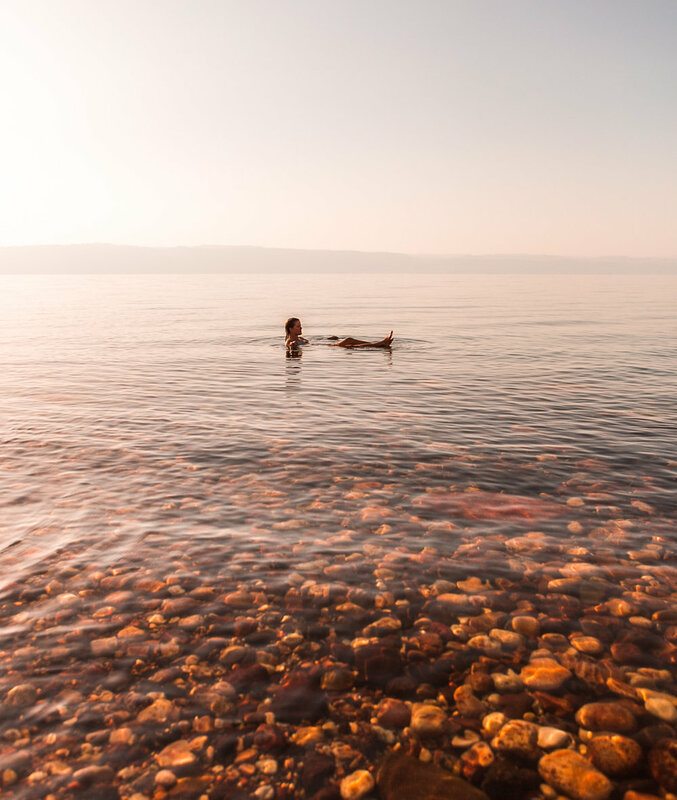 For those who don't know, the Dead Sea is 300m below sea level, making it the saltiest sea in the world. So salty you can't sink! We took most of our shots here with camera in hand whilst floating with no troubles! Our next day was spent driving up into the mountains towards the Dana Reserve. We decided to stay at a smaller and MUCH cheaper camp (Al Nawatef Camp) than the well known Rummana campsite in the heart of the Dana. I highly recommend doing this and driving down to Rummana for sunset. That is where you will get the best views! I love how mountain ranges can be so different. Almost all I've explored have had their own unique structure and look about them. The whole time we were there I saw about 5 other tourists. So peaceful! DAY 4, 5 & 6..
PETRA! I almost couldnt sleep because I was so dam excited! We booked a hotel close to the entrance of the site called La Maison Hotel, which was nice and reasonably priced ($143AUD for 2 nights). 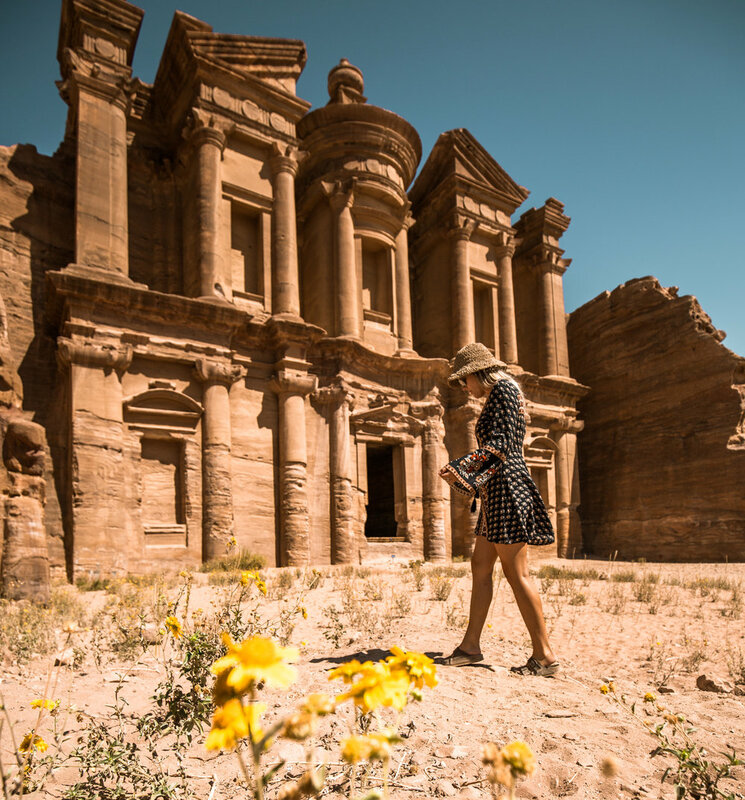 I recommend spending at least 2 days here if you want to explore the entire site of Petra. By chance we arrived on a Thursday, which was one of three nights in a week which Petra by night is performed. Make sure you time your visit around this as it as an unforgettable, once in a lifetime event. Do keep in mind the cost of the site is rather expensive, but totally worth every penny. 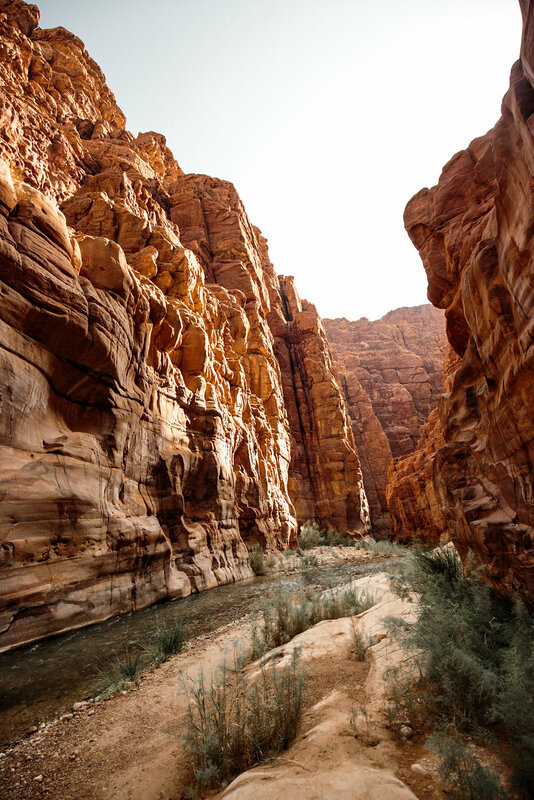 Head over to the Visit Jordan Tourism to check out more information on prices etc. I will always remember my very first glimpse of the Treasury, shining bright in all its glory as it peeped through the the canyon walls of the Siq. I had to stop in my tracks for a few minutes to just take in & really appreciate that moment I had dreamt about. Oh how mind blowing it was! No wonder it was listed one of the 7 Wonders of the World in 2007. With only a handful of tourists around, you can really admire the extensive and detailed work that was performed to create this masterpiece! I still get chills just thinking about it. Wadi Rum! Straight from one amazing location to another! This desert is seriously like no other. I've visited the Sahara desert and can confirm that this was a entirely different environmental experience. 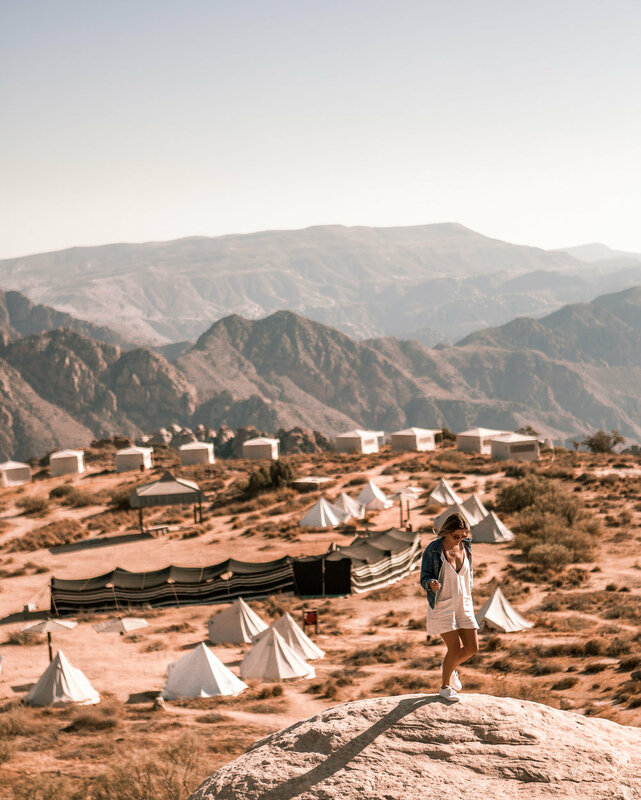 I did a whole lot of research as to which camp we should spend our two nights with, weighing up the location, reviews, and price. As much as we wanted to stay at the Luxury Night Camp, we just could not afford it. 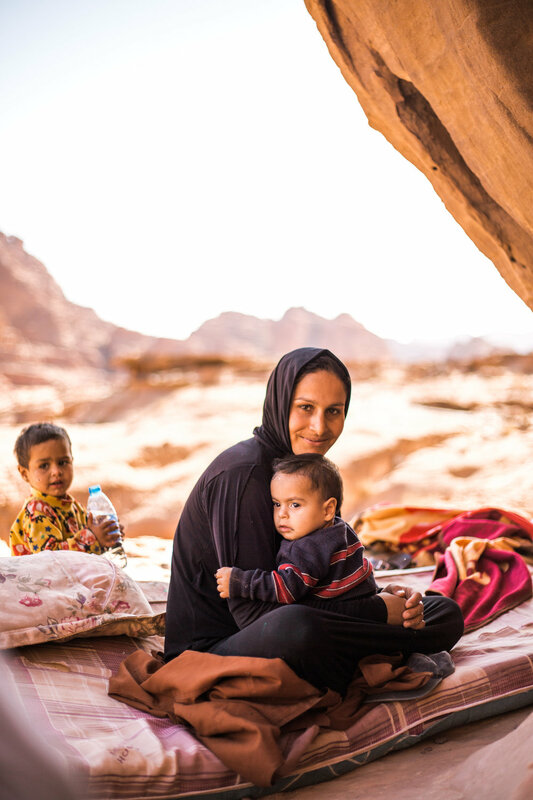 In the end I chose Wadi Rum Life Camp as it had great reviews and offered an amazing price. I recommend! Our two nights deep in the desert was unforgettable way of stripping our lives back to basics. 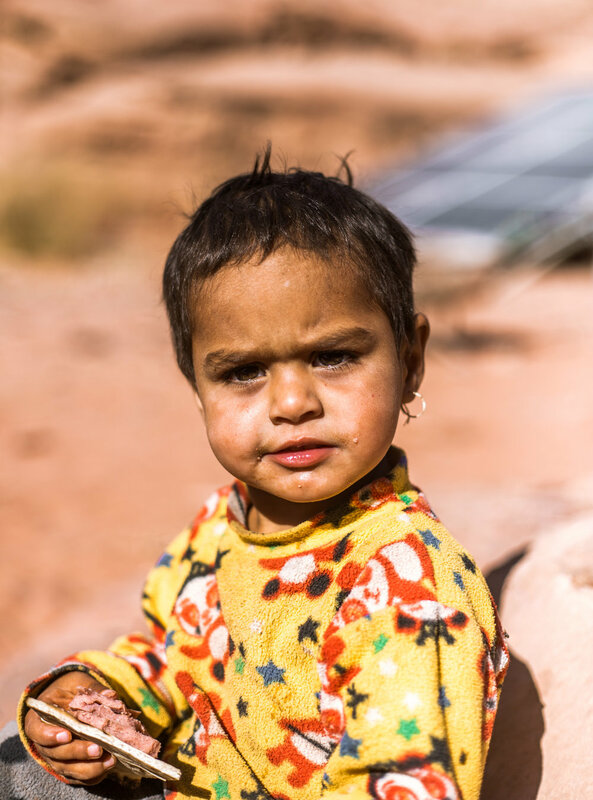 No service, no phone, nothing but the incredible surroundings, home cooked meals and campfire chats with the local Bedouins. Out here you'll hear your thoughts louder than you ever have before. So so peaceful. 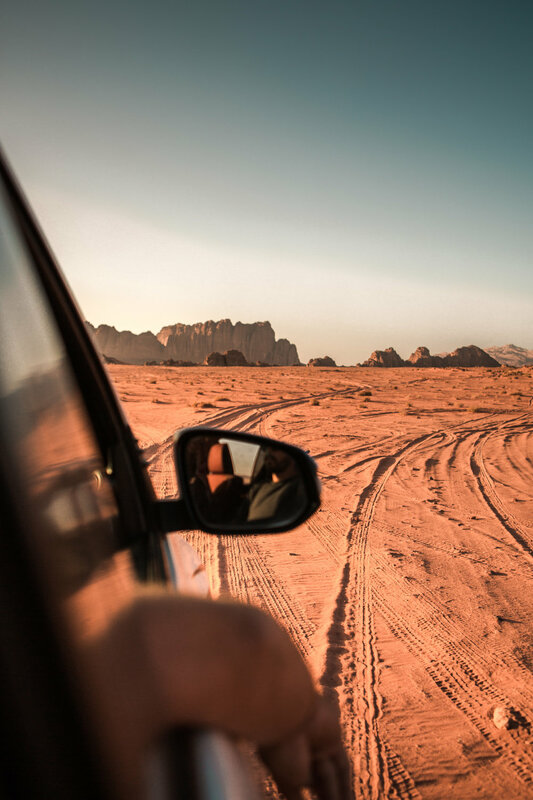 Make sure you watch the sunset from a mountain top, enjoy a 4x4 jeep tour around the desert, drink lots of tea, get to know the history and the Bedouins, star gaze & wake up for sunrise to have the ultimate desert experience. 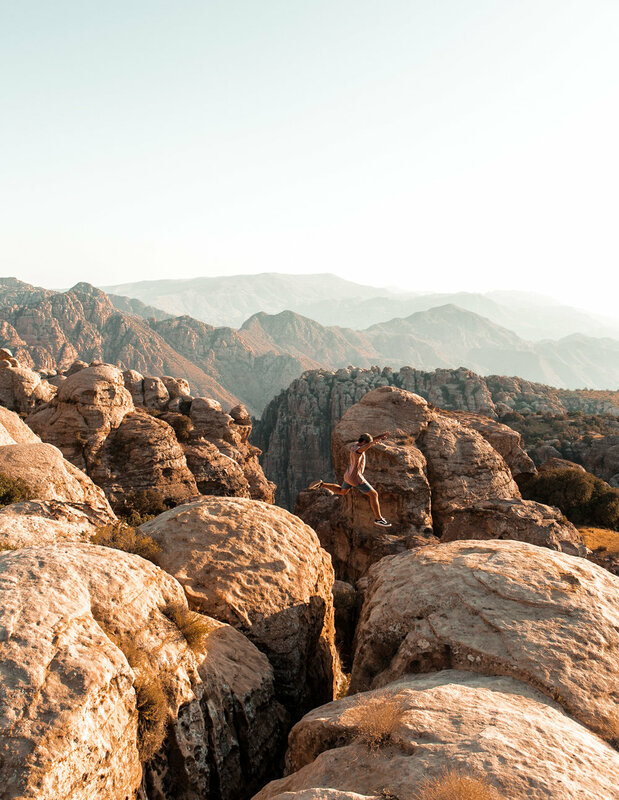 We were craving some salt on our skin after a huge couple of hot desert days, so we headed to the very south of Jordan, where lies the Red Sea. The shores of Aqaba surprisingly boasts a vibrant, colourful reef that is fantastic for diving and snorkelling. Jordan literally has it all! We spent one night at a hotel (Red Sea Dive Centre) that was super close to the water & offers snorkel gear for all its guests. We literally swam 50 metres straight out the front of the beach and found some pretty amazing coral and sea life! I was astonished at how healthy the coral looked considering its location. The beach itself isn't flash. You wouldn't find me spending the day relaxing and sun baking on its shores. No way hosé; not with every male in sight staring your way. Ladies, pack a swim shirt and shorts if you want to deter a stare down. Seriously in love with this country and all the people! I hope that my story inspires more people to add Jordan it to their list. I sure still have it on my list of places to visit, wanting a double tick next to it someday.